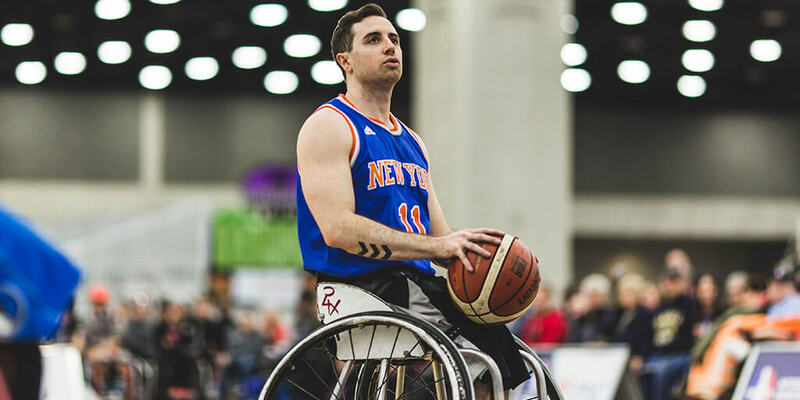 New York native, Steve Serio, has been playing wheelchair basketball since high school, where he was quickly named MVP of the National Junior Championship Tournament. From there, he racked up many more championships and MVP titles, including medaling at Worlds (2 silvers, 1 bronze) and competed in three Paralympic Games (1 gold, 1 bronze) with Team USA. In 2017, Steve was the first wheelchair basketball player to win an ESPY Award for Best Male Athlete with a Disability 2017. Today, Steve spends his time traveling and training for Team USA tryouts and Tokyo 2020 Paralympics. He credits his success to his supportive family.